It looks like the race will come down to a contest among Judy Appel, Ben Bartlett, Jovanka Beckles, Dan Kalb, Rochelle Pardue-Okimoto, and Buffy Wicks. Buffy Wicks has emerged as the frontrunner in the 15th Assembly District campaign. No other Assembly race in California is as competitive as the East Bay's 15th District this year. Twelve candidates in total are vying for the seat, traditionally a progressive outpost in the left-leaning legislature. Of the 12, six candidates have raised significant amounts of money so far and have successfully delivered their pitches to voters throughout the district, which encompasses everything along the bayshore between Hercules and Emeryville plus Oakland's Rockridge and Montclair neighborhoods and the city of Piedmont. But like a lot of East Bay campaigns, most of the contenders haven't really distinguished themselves from their opponents, because many of them are standard-bearing progressives who have similar ideas about the biggest problems facing the state and how to fix things. But over the past couple of months, several things have become apparent. First, a front-runner seems to have emerged: Buffy Wicks. She has combined an unmatched ability to fundraise with her astute on-the-ground campaign of house meetings to pull ahead of the pack. Second, there are a handful of other candidates who could just as easily come out on top. But the other five leading candidates haven't struggled to break through the noise and gain widespread recognition. Berkeley school board member Judy Appel is running as the education candidate. She's for universal access to early childhood education and tackling Proposition 13 reform to restore needed funds for K-12 schools. Appel says she's concerned about the continuing achievement gap affecting Black students and English language learners and that more needs to be done to improve equity within schools. While on the Berkeley school board, Appel led implementation of restorative justice programs to create a less punitive and more positive environment on campuses. She also helped expand a pathways-to-career program that helps students gain access to jobs that pay a living wage but don't require going to college — like firefighter and skilled union trades. Public schools, especially in districts like West Contra Costa and Oakland, are at risk, she says, due to budget cuts compounded by the growth of charter schools, which drain resources from public schools and exacerbate racial inequality. Berkeley Councilmember Ben Bartlett is emphasizing affordable housing, displacement, and the environment. His legislative record is a little thin, because he's only in the second year of his first term on the council and hasn't held office previously. But so far, Bartlett has managed to be a positive force in negotiations over housing and development in the notoriously NIMBYish city. The attorney has helped streamline the approval of affordable housing projects, and he led the effort to create a new city office known as the anti-displacement public advocate, which works with tenants and nonprofit legal services organizations to help reduce displacement of low-income renters from their homes. Bartlett also followed up on the city's police body camera program and made sure all Berkeley cops will be outfitted with one. His family has deep roots in Berkeley, and Bartlett has been keen on communicating this to voters: His mother was a Black Panther and his father was a community organizer and musician. Jovanka Beckles is the furthest-left candidate. A member of the Richmond City Council and a mental health specialist for Contra Costa County, Beckles says that the time has come to take Richmond's brand of progressive politics to Sacramento. Like other members of the Richmond Progressive Alliance, Beckles refuses campaign contributions from corporations and is endorsed by Our Revolution, the grassroots organization that sprang from Bernie Sanders' campaign. She wants to revive Senate Bill 562, the universal health care plan that legislators shelved last year. Beckles also wants to repeal Costa Hawkins, the state law that strictly limits rent control (if voters don't do it at the polls first). And like most of the other candidates, Beckles wants to reform Prop. 13 so that corporations pay up-to-date assessments on their buildings and land. Dan Kalb probably has the strongest track record of all the candidates. Over the past six years, the two-term Oakland councilmember tackled some major problems — all despite Oakland's many dysfunctions. Kalb co-authored legislation that created Oakland's powerful new police commission. He wrote the city's tenant protection ordinance, which prevents harassment and displacement of renters. He also played a key role in Oakland's rejection of a coal export terminal. And Kalb helped set up the East Bay's new green public power authority. He's the leading environmental candidate in the contest, and among all the candidates, he's also demonstrated the deepest knowledge of how the legislature works. Rochelle Pardue-Okimoto is the health care candidate. A neonatal nurse at Alta Bates Hospital in Berkeley, she's also the mayor pro tem of El Cerrito. Pardue-Okimoto has been an outspoken opponent of the pending closure of Alta Bates' Berkeley campus and says she'll take this fight to Sacramento and fight for health care access in all communities. A major part of her platform is creating a "Medicare for All health care system" that would ensure that every Californian can afford to see a doctor. Pardue-Okimoto also has outgoing 15th District Assemblymember Tony Thurmond's endorsement. And the influential California Nurses Association has given her an extra boost with $177,000 in independent campaign spending — so far, mostly on billboards and mailers. These independent expenditures provide Pardue-Okimoto with a significant advantage over most of her opponents. Finally, there's Buffy Wicks, who is campaigning partly on her reputation as an Obama organizer and former White House aide. She's also been able to raise about half a million for her committee, far more than anyone else. (In second place, for example, Appel only raised $145,000.) And Wicks has even more support — $173,348 and counting — from the Govern for California PAC, a pro-charter school committee organized by former Schwarzenegger administration advisor David Crane. Wicks' top issue is housing. She's proposing to expand state funding for affordable housing while streamlining construction for all income levels. Instead of repealing Costa Hawkins, Wicks wants to amend it so that new construction would be exempted for a rolling period to allow developers to recoup investments while also allowing cities to cover some buildings built after 1995. She also wants to increase the renters tax credit. On education, Wicks wants higher teacher pay and says the state should do more to provide housing assistance so that educators can work in some of the high-cost districts where they teach like the East Bay. But in contrast to most of the other candidates, Wicks is not anti-charter schools, although she says there should be more oversight of charters' governance and budgets. She also said in her interview with the Express editorial board that she would support legislation allowing some school districts to enact temporary moratoriums on new charters. 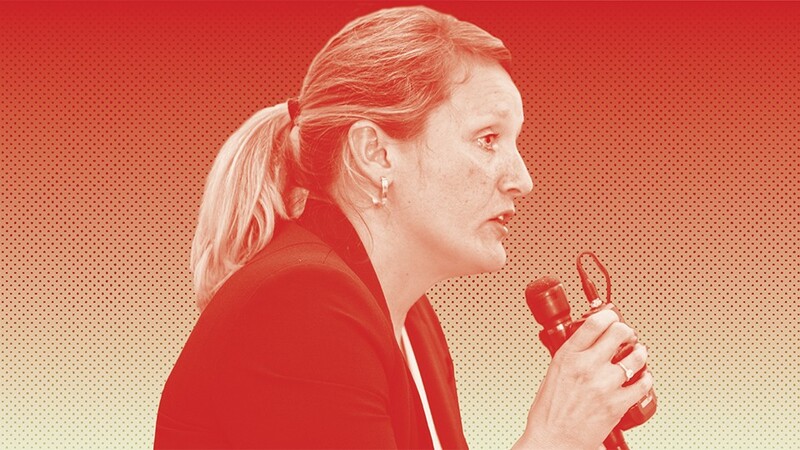 A Wicks spokesperson said the campaign wasn't sure why Govern for California was supporting her and theorized it might be because of her pro-housing stance. Crane declined to be interviewed, but Andrew Crutchfield, political director of Govern for California, wrote in an email that the PAC is "confident Buffy is the right candidate to move our state forward on important issues such as education and the housing affordability crisis." Labor and environmental attorney Andy Katz is also considered by some to be among the leading candidates. He is in his third term on the East Bay MUD board. He also played a key role in negotiations that led to Berkeley's $15 minimum wage law and says he'll take this kind of advocacy for low-wage workers to Sacramento. But so far, he has had a rather low profile in the campaign and hasn't been able to raise the same kind of money it takes to elevate his name throughout the district. Among the lesser known candidates, Berkeley resident Owen Poindexter is campaigning to promote universal basic income paid for by new income, carbon, and estate taxes. It's a chic idea in Silicon Valley (partly because tech elites fear the end of work and consumer demand via automation) but doesn't make for a holistic campaign. Oakland software engineer Sergey Piterman is campaigning on a tech gimmick he calls "liquid democracy," but there's not much other information about Piterman and his tech solution to our political problems except a short and vague YouTube video. Then there's Pranav Jandhyala. This UC Berkeley student is running as the maverick Republican. His claim to fame is inviting the Islamophobic Fox News pundit Anne Coulter to speak about immigration at the university in the name of free speech advocacy. The rest of the candidates are mostly progressives who've held some sort of local office before and have a voting record.